One of music’s hottest rising stars, Matteo Bocelli, will headline Vero Food, Wine & Music concert on Friday, February 16, in Vero Beach’s Riverside Park. VERO BEACH, FL, January 24, 2018 /24-7PressRelease/ — Vero Beach Food Wine & Music is excited to announced that Matteo Bocelli, one of the hottest voices to hit the music scene in decades, will be headlining its evening-under-the-stars concert on Friday, February 16, from 6:30-9 p.m. in Vero Beach’s Riverside Park. 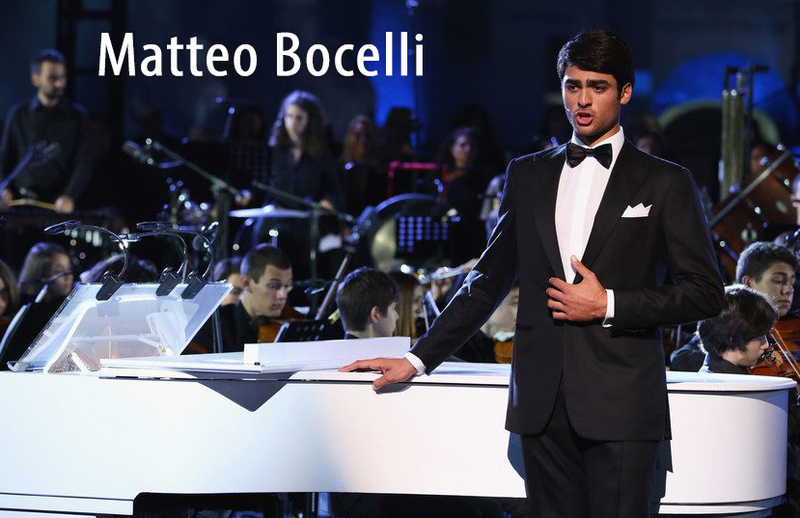 Matteo is the son of world-renowned Italian tenor Andrea Bocelli and the consummate example of the apple not falling far from the tree. 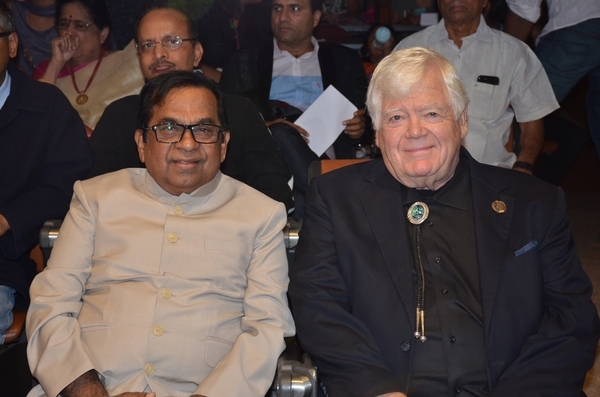 Blessed with a timbre that is full, powerful and versatile, he can effortlessly render the same perfection in a sacred hymn or a pop song. Bocelli displayed an interest in music from an early age, his parents encouraged their musically-talented son to sing throughout his childhood. He now amazes audiences with a young man’s classical voice that is reminiscent, yet even more impactful than his father. Tickets are now on sale now for this amazing concert experience with cutting-edge production, sound and design paired with gourmet bites and wine in a supper club seating atmosphere. Purchase your unique concert experience at VBFWM.com. While music, food and wine are front and center at the multi-day events, the nonprofit organizations that will benefit are at the heart including The American Cancer Society, The Source, H.A.L.O., Indian River Lagoon National Estuary Program, United Against Poverty and Hibiscus Childrens’ Center. Vero Beach Food, Wine and Music event is produced by Fe Domenech and the team of The Event Firm International, who created this event to raise awareness of Vero Beach as “The Hamptons of Florida” and the importance of giving back to one’s community to make true and lasting changes.This amazing event is made possible through the support of sponsors including Rossway Swan Tierney Barry, Atkinson Capital, PNC, Eventstar, Costa d’ Este, FPL, Kimpton Vero Beach Hotel, Vero Vine, Roof Authority and TC Palm. Shaun O’Neale is a winner of Master Chef on FOX with Gordon Ramsay. In addition to winning the title of “America’s Best Home Cook” in September 2016, Shaun’s debut cookbook, My Modern American Table, was released worldwide in May 2017. Since his win, Shaun has made several appearances on the Hallmark Channel & FOX, performed at MLB games and demoed/sampled/judged/hosted multiple culinary events all over the world. For information about sponsorships, call at 877-85-TOAST or [email protected]. The Event Firm International has built a reputation among the world’s premier fortune 500 corporations, celebrities and dignitaries of unparalleled event design and production. Our signature events are just that, a distinctive event created with elements that reflect the characteristics of our client, combined with the unique approach and infrastructure offered by TEF. Enabling clients to experience multi-sensory environments that identifies and marks the celebration as one of kind… 12Social Soirees TEF Social team’s forte is creating an exclusive affair for that once in life time event. From finding the perfect unique location, proving exquisite florals, one of a kind decor and entertainment., our resources will make the planning process quick and painless. TEF’s social team will coordinate all details of the event to ensure that your affair is headache free and truly unforgettable. Our team creates anything from elegant formal events, exquisite funky wild celebrations, to the wedding dreams are made of. TEF’s Social Soirees range from elegant to the unconventional. Let us create for you a once in lifetime event. 29Specialty Lighting – It is only fitting that the lighting at any event should shine; considering who TEF’s clients are, and the guests they have in attendance. No matter the venue, decor, or entertainment, it does not come to life or provide inspiration without specialty lighting. Nothing is as important as lighting when it comes to setting a mood and creating special effects.